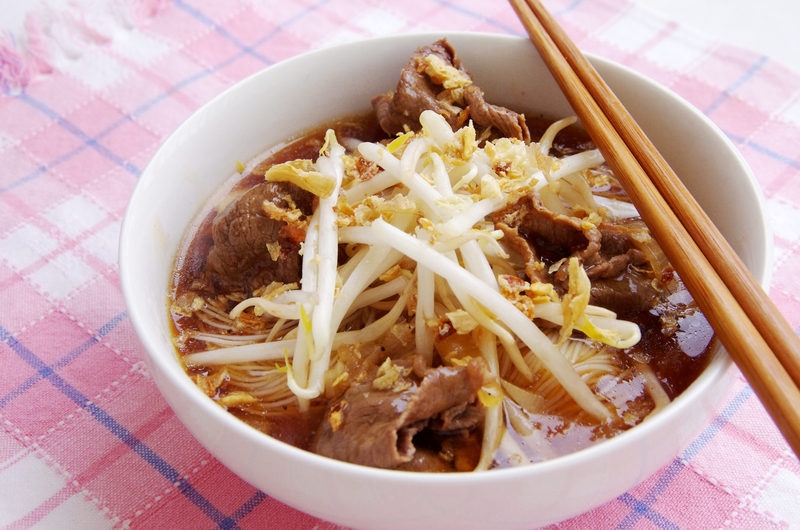 I use to eat at hawker stall and order flat rice noodles with thick beef stock heavily spiced then topped with fresh beansprout. As side, they provide some chili sauce and little lime to enhance the taste. I never knew the name of the dish and never tried to find out also. Every single time I had chunks of beef at home I always had the temptation to make those noodles but couldn’t find the recipe I needed. So, I tries to recall what was the strongest taste –> star anais. So after finding and trying some of the recipes. It turned out that they were Taiwanese beef noodle soup. Any type of rice based noodles will do.